MainAll NewsInside IsraelBennett, Liberman, or Kahlon to join the Likud? Bennett, Liberman, or Kahlon to join the Likud? Transportation Minister: Only those who have not left the party can lead the Likud. 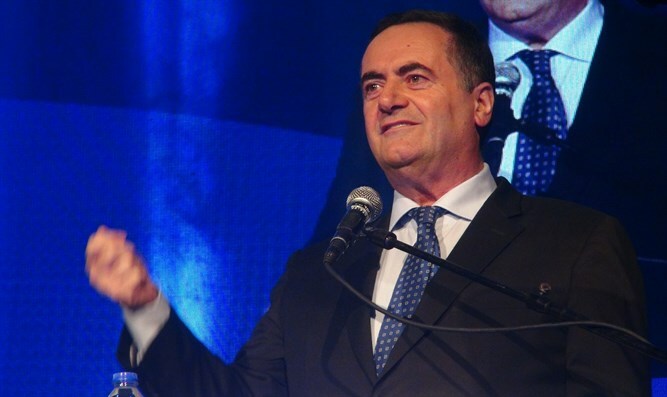 Transportation Minister Yisrael Katz addressed the possibility of elections in Israel due to suspicions against Prime Minister Binyamin Netanyahu. "November 2019. It should be a very dramatic reason to shorten, and there seems to be no such reason," Katz said in in interview with Israel Hayom reporter Matti Tuchfeld. Katz insisted that he will run for Prime Minister if Netanyahu is forced to resign but will not run against him if he stays in office. Addressing the possibility that outsiders would seek to enter the Likud, such as Naftali Bennett, Moshe Kahlon, Avigdor Liberman and others, he said, "The Likud is a grassroots movement that has chosen only four leaders to this day." "We are not the Labor Party. Moreover, whoever left [Likud] to make start-up outside cannot just leave [that party] and join the Likud again. Whoever stayed and did not leave, he will be the next leader of the Likud."